LONDON, UK, 2018-Sep-05 — /Travel PR News/ — Essex based start-up Energy Crop Solutions and local resident Andrew Swift have won Heathrow’s first ever Sustainable Innovation Prizes. Beating other applications from SMEs across the UK and airport workers, the winners were judged as the best solutions which could solve some of the sustainability challenges facing airports and the aviation industry more widely. 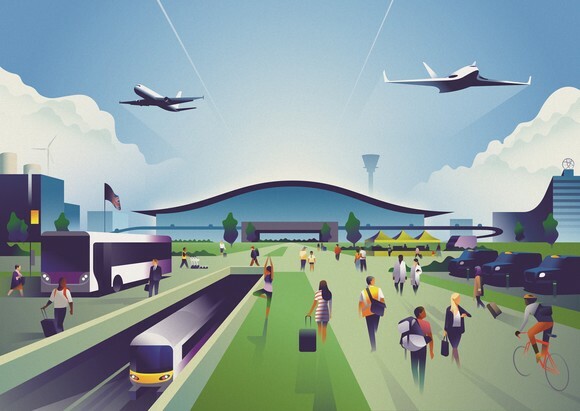 Entries were invited to focus on three areas as part of Heathrow’s Centre of Excellence for Sustainability work: using waste as a resource, sustainable and low carbon materials, and measuring and enhancing quality of life locally. The six chosen finalists pitched to a senior judging panel including Matt Gorman, Heathrow’s Director of Sustainability & Environment, Katherine Leahy, Heathrow’s Director of Airport Operations, Chris Annetts, Heathrow’s Retail Director, Fiona Carleton, Future Heathrow Director, plus a guest judge Jonathan Counsell, IAG’s Director of Sustainability. As a winner of the Innovation Prize, Energy Crop Solutions will receive £20,000 in funding and the opportunity to use the airport as a “test bed” for their sustainability solution. Energy Crop Solutions plan to work with local charity Green Corridor to explore how different willow varieties provide acoustic, air quality and aesthetic improvements for local residents. The company will also explore if the willows can be used to fuel the airport’s on-site biomass boiler. If the results are favourable, Energy Crop Solutions may have the opportunity to expand this project more widely across the airport. A similar innovation competition, run internally to engage colleagues who work at the airport was won by Maidenhead resident Andrew Swift. His winning idea is to use the airport’s plastic waste for its road surfacing. Heathrow will fund research into Andrew’s winning idea with its university partners, which could lead to an on-airport trial. The Innovation Prize forms part of Heathrow’s Centre of Excellence for Sustainability and the airport’s sustainability strategy – Heathrow 2.0. The Centre’s mission is to facilitate the research and development of innovative solutions to accelerate the era of sustainable flight. Currently the Centre’s focus is on solving some of its initial innovation challenges with its growing network of academic partners, covering topics as wide ranging as climate change, circular economy and community wellbeing. “We are absolutely delighted to be selected as a winner of the Sustainable Innovation Prize. Working with Heathrow has given us a unique opportunity to demonstrate the benefits now possible from the latest willow cultivars and 2nd generation biomass. With this amazing opportunity we will demonstrate the benefits of willow for air quality, bio diversity and noise reduction for the local communities. We will also highlight the use the greatly improved 2nd generation biomass accelerating its adoption across the UK. We are excited to explore the opportunities that winning the prize presents and can’t wait to get started. Heathrow 2.0 is the airport’s plan for sustainable growth. Heathrow 2.0 will allow the airport to expand to meet demand in a way that creates a positive impact on our community, environment and economy. This entry was posted in Airports, Travel, Travel & Environment, Travel Awards, Travel Services, Travelers and tagged Andrew Swift, Chris Annetts, Energy Crop Solutions, Fiona Carleton, Gary Crooks, Heathrow, Jonathan Counsell, Katherine Leahy, Matt Gorman, Sustainable Innovation. Bookmark the permalink.